2020! Tetra is the latest and greatest version of the famous puzzle game Tetris. In this amazing game, you get to experience a unique and fun version of Tetra. You have to fill horizontal lines with blocks dropping from the top of the screen to remove them and to score. You will lose the game if the blocks reach the top of the screen. This version adds cool boosters to the mix that help you to gain a better score and to get out of bad situations. 2020! 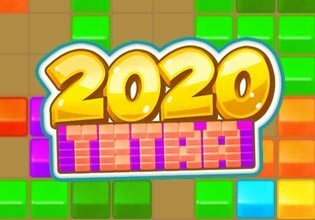 Tetra is one of the most entertaining puzzle games so don't miss the chance to show off your high score! Play 2020! Tetra now for free and enjoy using the new boosters!